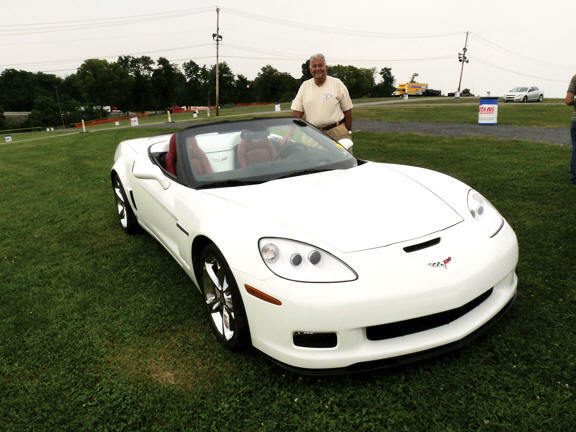 "Carlisle is the Perfect Way to End a Great Corvette Summer!" I’ve just returned from one of my favorite places to be at the end of Summer…Corvettes at Carlisle! The Registry took its usual position on top of “Registry Hill” for our 12th year at Corvettes at Carlisle and we all had a BLAST! One of the highlights for me this year was when Charter Member Stan Kessel [C5R# V0104] pulled up at first light Friday morning in his brand new 2010 Arctic White Grand Sport Convertible. Stan’s was the first Grand Sport (VIN 00169) that I’ve seen in public hands, and not with a GM engineer behind the wheel. He drove it all the way to Carlisle, PA from Texas; he said it felt like it was stuck to the road like glue! I can’t relate because I haven’t had the chance to get behind the wheel of the new Grand Sport. But I can tell you this, it looked FABULOUS…with that beautiful wide body, the Convertible top down and that exciting red interior! Stan, you have one heck of a beautiful Corvette! Marketing/C6 Product Manager, that I really appreciate Corvette producing different models, and not ones that just have seat embroidery and paint color setting them apart. The Grand Sport performance models, at first glance, are a different Corvette…the way it sits, the width of the rear tires, mean working brakes….it all looks aggressive and everyone will know it! 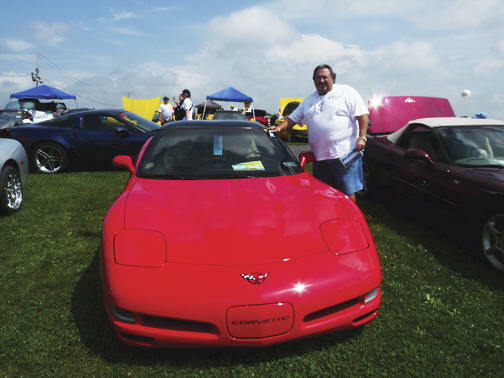 What’s nice about being at the top of “Registry Hill” is that sooner or later anybody who is connected with the Corvette hobby stops by our tent to say Hi and spend some quality time with our members. This year there was no shortage of Corvette personnel at Carlisle, up on the hill and at our traditional Friday night Registry dinner. I had the good fortune to spend time visiting with Paul Graham, the current Corvette Plant Manager until October 1st when his promotion takes him to Arlington, TX, GM’s only full-size SUV Plant. During his short two-year stay with Corvette, everyone at the Plant tells me he has done a fabulous job and really made his mark improving the Corvette brand. 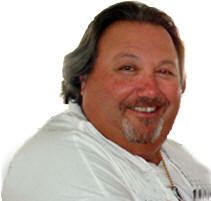 To Paul, on behalf of the Official C5/C6 Registry, we say THANK YOU for all you’ve done! [C5R# P7832] Our beverage consultant, Jim “Pepsi” Juliano [C5R# K6572] guided us in our beverage selection; and when it was time to check in for the Registry dinner, Mark Thomas [C5R# X2102] graciously helped out. Thanks Guys! Corvettes at Carlisle is like attending a family reunion. At every reunion there’s always a new addition to the family. 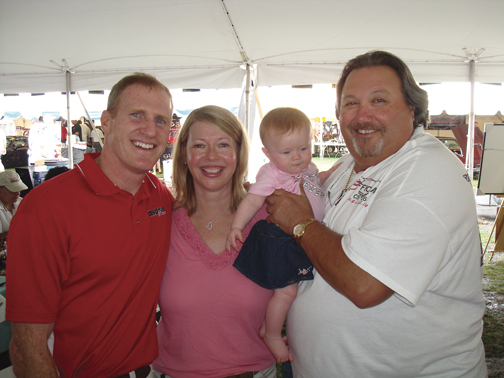 This year was no exception with the February 17, 2009 arrival of Ella Corvette Miller. Pictured with “Miss Ella” are the proud parents, Lance & Michele Miller, and Director Dan jockeying for Godfather position!!! This year I drug along John Sinatra [C5R# R7969] who is a friend of mine and a neighbor of Director Jake. John is a real car guy. He not only has a 2007 Black C6 Z51 in his garage, but he also has a gorgeous showroom quality Hugger Orange 1969 Camaro SS RS 396 which he lovingly restored. He took time off from work to come to Carlisle with us and help with set up and picture taking. In fact, many of the pictures in the magazine were taken by John. Thanks, John, for all your help! Carlisle is the perfect way to end a Great Corvette Summer! Of course, if you live in Cocoa Beach, FL where Summer doesn’t end until November, you have a few extra months of Corvette Summer driving time! 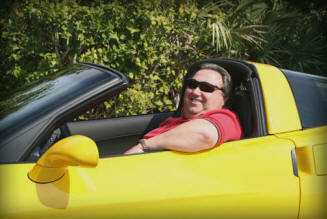 I can’t think of a better way to drive to those Jacksonville Jaguar football games than in my Corvette! See you on the Road of Smiles!